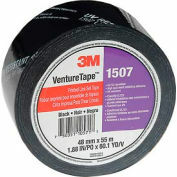 is made of high quality materials for long lasting durability. 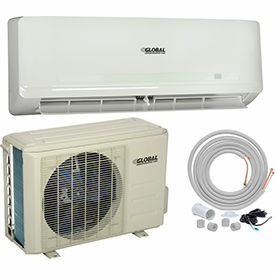 Provides cooling during hot months and heating in cold months. Split design provides indoor (evaporator unit) and outdoor components (condensing unit). Indoor unit hangs on a metal bracket attached to an interior wall and includes air inlet, front panel, air flow outlet with grille and interior air filters to capture dirt or dust. Outdoor unit provides side and rear air inlets, outlets and connection valves. System operated by wireless remote control (included). Set remote control to desired temperature and system maintains temperature. 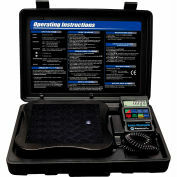 Includes installation kit (25' line set) for ease of use and operation. 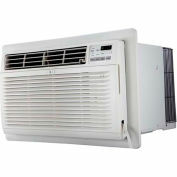 Maximum Installation Elevation is 26-1/4 ft. Energy Star compliant. Color finish is White. Must be installed by a licensed contractor. UL & cUL Certified. 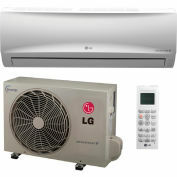 Unit comes with a 1 year in home service parts warranty plus a 5 year sealed system warranty. Mute Operation. 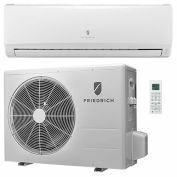 Want to turn off the AC beep and display By pressing the mute option, Global AC's help to give you a quite and comfortable sleep. Turbo. 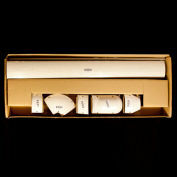 This function gives you a boost in cooling and heating power for a period, helping to rapidly cool or heat a room. Anti-Cold Air Function. Indoor fan speed is regulated automatically from the lowest grade to the setting grade according to evaporator temperature when the unit just begins heating operation. This function can prevent cold air blowing out avoiding discomfort. 12 Grade Indoor Fan Speeds. 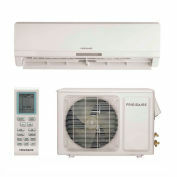 Up to 12 settings of indoor fan speeds ensures more accurate control and airflow. 5 Grade Outdoor Fan Speeds. 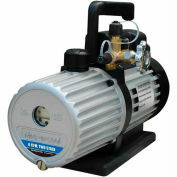 Due to the DC fan motor, this allows for 5 speeds for increased energy savings. Two Directional Airflow. Precise airflow control makes your room more comfortable. In cooling mode, this prevents blowing cold air directly at occupants. In heat mode, vertical airflow provides powerful floor level heating. 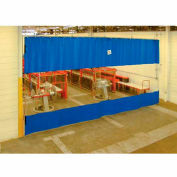 Auto Swing distributes cool or warm air to maximum are by moving horizontal flaps automatically. Refrigerant Leakage Detect. Indoor unit will automatically stop and show error code when refrigerant leakage is detected helping to prevent compressor damage. Low Ambient Cooling. 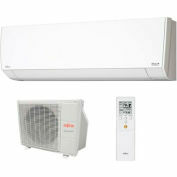 With this feature, the outdoor fan speed can be changed automatically according to the condensation temperature. Auto Defrosting. Prevents evaporator from freezing and maintains dehumidifying effect under low temperature environments. High Density Filter. Compared with ordinary dust filters, the anti-dust effect on this high density filter can increase up to 50% more. Timer. Set the unit to start and stop automatically in a 24 hour period. Louver Position Memory. Horizontal louver will automatically move to the same position as it was set to the last time the unit was turned on. Your review: This mini split went together nicely and cools well. Haven't used it for heating yet. ABQ Heating & AC was surprised at how quiet it is. Would have given it 5 stars but haven't used it in winter yet and don't have longevity data. Pros: Unit went together well and is pretty quiet inside and out. There are 2 questions and 4 answers for this product. What square footage will this keep cool? Hello Randy, this unit will cool approximately 400 square feet. Thank you for your interest in our product. what is the best way to install the outdoor unit onto a pitched roof? Are there any brackets sold that would allow for this? Hello Carlo, You would need a pitch roof bracket in order to install this unit on a pitched roof. Unfortunately we do not carry any pitched roof brackets. Thank you for your interest in our product! Is there a maximum allowable distance from the indoor and outdoor unit? What are the limiting factors? Hello Mike, It is limited by the 25' line set as that is the maximum distance. Thank you for your interest in our product! Is it possible for the outdoor unit to be connected to multiple indoor units? Hello Mike, Yes, it is possible to connect the outdoor unit to multiple indoor units. The maximum number of indoor units is 3, however, they will be at 1/3 of the power. For example, this unit has 24,000 BTUs. If you connect 3 indoor units, each unit will be 8,000 BTUs. Thank you for your interest in our product!